Award-winning Artistic Director Toni Pimble and the extraordinary dancers of Eugene Ballet, are poised to bring to the Craterian stage a stirring performance that is sure to make your heart beat faster. 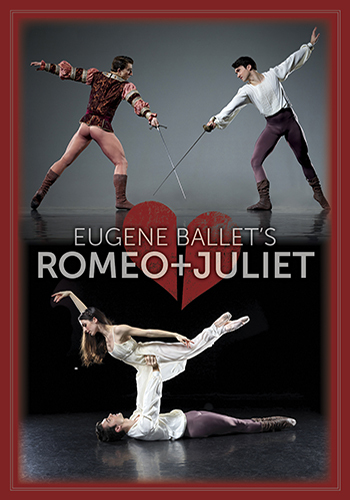 This Valentine’s Day, experience Shakespeare’s classic tale of passion between two young lovers as they desperately attempt to defy their families and their own tragic fate. With Prokofiev’s emotional score and Pimble’s “fresh and thoughtful, ambitious and honest, well-crafted and enticing” choreography, theatergoers will know the sweet sorrow of parting from this incredible ballet company, now in its 40th season.